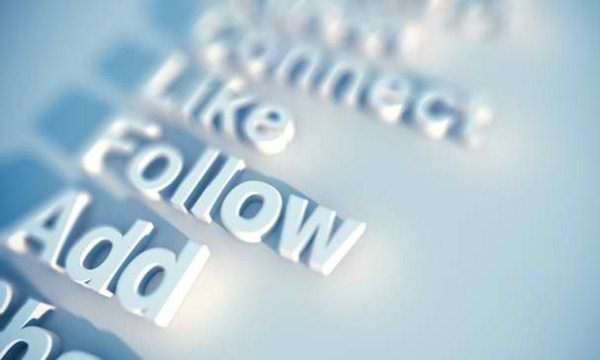 Brands today obsessively seek massive social followings. The driver of that social activity is content marketing. Today most content marketing is nothing more than disguised brand advertising–and customers and consumers mostly ignore it. To gain a massive following in social channels requires a sophisticated understanding and disciplined application of Brand Voice. Brand Voice is simply the quality of the brand’s presence in the marketplace. At every interaction with the audience, the Brand’s voice (the manner in which it communicates its purpose, values, reputation and experiences) must be created and managed with precision. That means, marketers have a greater responsibility to not let the voice of their brand be at the whim of the latest creative or style trend, appear sloppy, inconsistent, and mindless. In speaking to another person, your tone of voice is not what you say, but how you say it. How well your communication comes across determines how well others will respond to what your saying. It’s exactly the same for brand communication. A brand’s tone of voice will inform the authenticity all of its human interactions, sales conversations, business environments, written language, trade dress, product design, packaging and retail presence – the totality of the brand’s presence in the marketplace. Consequently, you can’t just make up a voice out of thin air and then start speaking in it. Brand voice comes directly from the organization’s purpose, mission and values. If it’s not real in today’s meta-transparent social age, the voice will be the sound of one hand clapping. Why it’s critical to get brand voice right. Brand building is about people–the people that comprise the brand and the value they are passionate about bringing to the world. This is the beginning of the brand’s story told through the authentic voice and behavior of those that bring it to life everyday. Brand voice is what establishes relevant and highly valued differentiation among competitors in the category. Think of two brands in the same category. Let’s say Honda and Subaru automobiles for example. Both brands have a tone of voice that is distinctive, recognizable and unique. One brand represents and expresses quality engineering, while the other brand represents and expresses love and adventure. They are both true to their unique voice building equity in their promise. Customers know why they engage with one or the other. Brand Voice goes along way toward building trust. When a brand’s presence in the marketplace is familiar it’s more easily trusted. Researchers in cognitive behavior and psychology have known forever that humans require little effort to mentally process something that is familiar. For humans familiarity creates a sense of ease. Creating a specific tone of voice plays a crucial role in how easy it is for people to trust your promise. A consistent Brand Voice will influence and persuade. As author Maya Angelou once said, “People don’t always remember what you say or even what you do, but they always remember how you made them feel.” The way in which brand’s communicate breeds a certain feeling or emotional response in people. And although most people have short attention spans, they are very sensitive to language and imagery, forming instant impressions in their minds based on how they feel. To be influential and persuasive requires connecting with people emotionally. a true voice in the marketplace naturally emerges. Brand guidelines shouldn’t be created just for design and creative teams, but for everyone in the organization. Every set of brand guidelines should standardize a brand’s messaging, look and feel, tone and manner, grammar guidelines and design principles. All content marketing should follow these guidelines. Create standards for content. For example, creating a template for all social media channels, webinars and white papers. This helps minimize production timelines, but more importantly will keep the voice of your brand consistent. Take the time to formally educate all stakeholders in content creation on the importance of understanding the brand’s story and voice in the marketplace. Content creation should be a collaborative process – account planner, brand strategist, community manager, content marketing manager, brand manager, and designer are all part of the creation process. Education and collaboration form a human brand filter that keeps brand voice authentic and consistent though all forms of branded content. Great tips! I especially agree on the education part. You can hire a great social manager, but if he/she doesn’t follow the brand’s voice, it won’t be as much as a signature as it could’ve been. The stakes are even higher now because of the Global competition.